This Moroccan vegetable stew recipe comes from vegetarian and vegan chef Aurelie Pare, author of The Healthaliciously Good Cookbook. Moroccan seasoning can vary in spiciness, so you may want to leave out the jalapeno to avoid making the soup too spicy. Pinto beans, white beans, kidney beans, black beans, and green lentils could be used instead of chickpeas if desired. Try to find a low-sodium vegetable broth or make homemade vegetable broth to keep the sodium content in this soup low. You may also want to choose a low-sodium variety of canned tomatoes or to use the same amount of fresh tomatoes in place of the canned tomatoes. 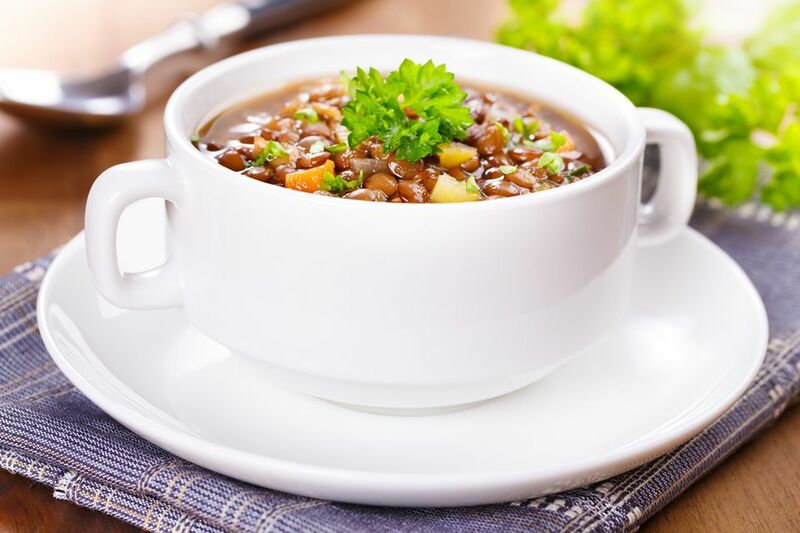 "This tasty, hearty vegan soup is great for weeknight meals. Moroccan seasoning usually contains ginger, cinnamon, cumin, and cilantro. It is an especially nice seasoning to use during the frosty winter months." In a soup pot, heat the oil over medium heat. Sautee the onion, peppers, celery, carrots, and mushrooms for about 10 minutes or until tender. Stir in the vegetable broth, tomatoes, and chickpeas and bring the soup to a boil over high heat. Once boiling, reduce the heat to medium, cover partially, and let simmer until cooked (about 15-20 minutes). Stir in seasonings, raisins, and juice. Serve!